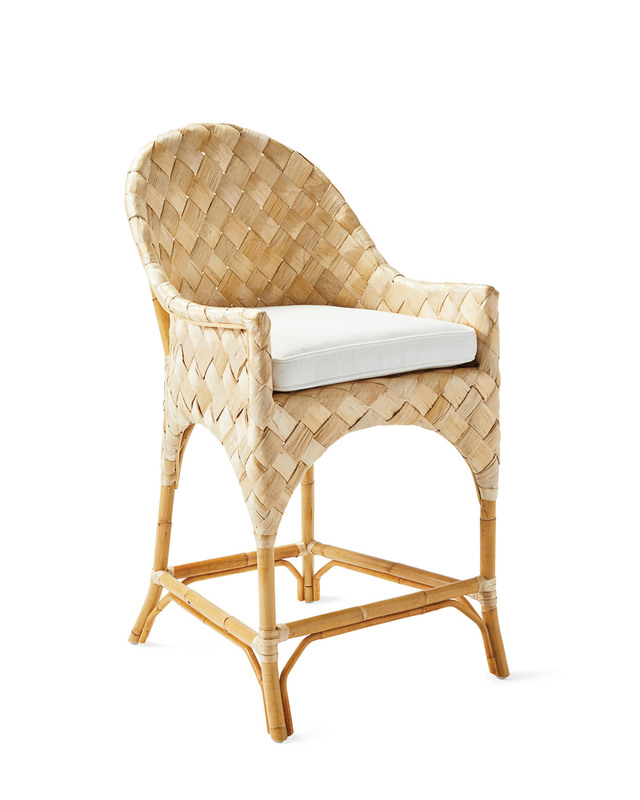 Oceanview Counter StoolOceanview Counter Stool, alt="Oceanview Counter Stool, "
Print A nod to island living, this is made of durable banana leaf that’s been handwoven around a sturdy rattan frame. It brings amazing texture to the counter, with low arms and a rounded back that relax the look. A tailored cushion adds a cozy touch. 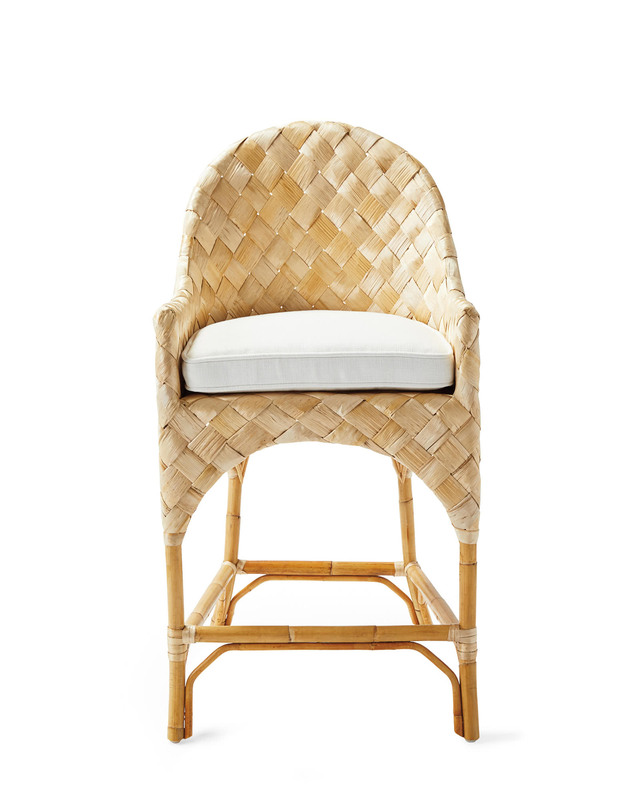 The sustainable rattan frame is hand-bent and hand-shaped; the seat is detailed with enduring handwoven banana leaf fibers. The cushion has a comfortable poly-blend fill. 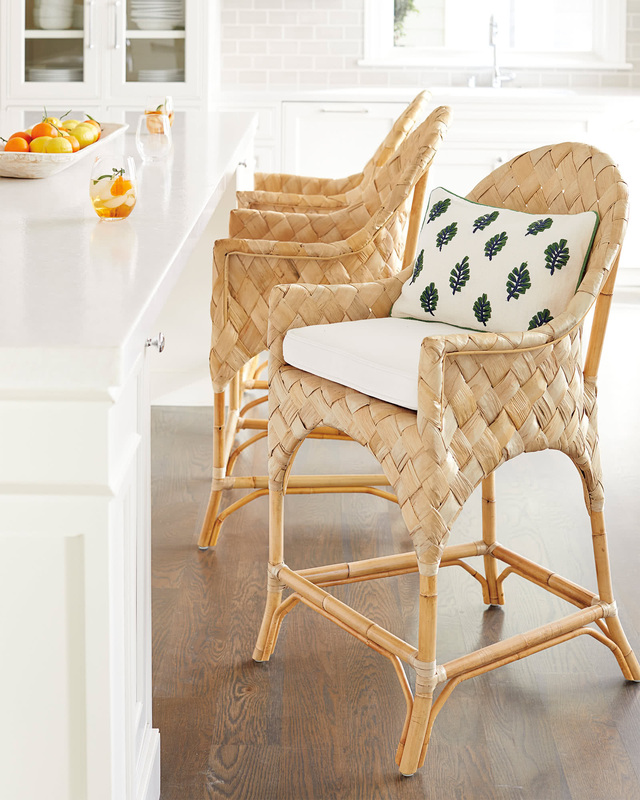 The removable cushion covers are woven of Perennials® Performance Fabrics, which features a refined weave that’s designed to repel water, as well as resist mold, mildew, and staining. They are guaranteed to resist fading for 3 years. Blot spills immediately to prevent staining. 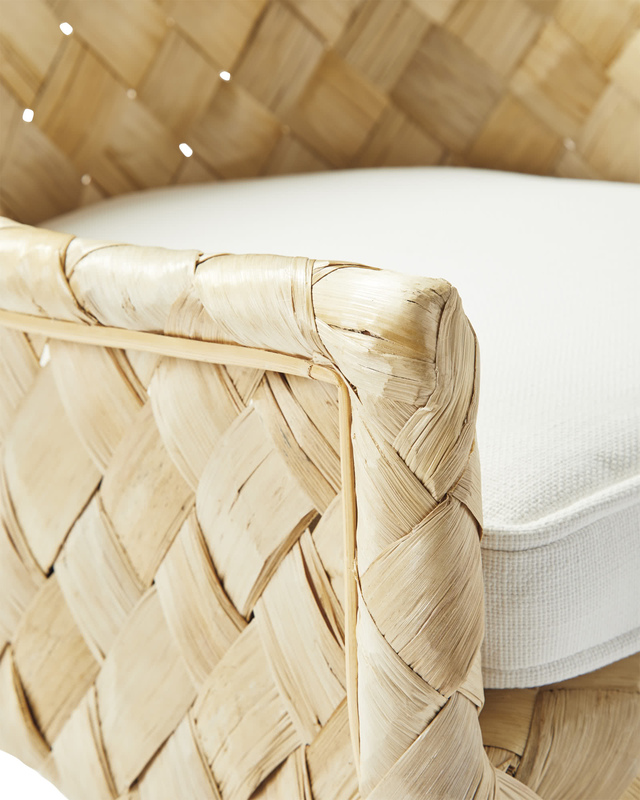 Keep out of direct sunlight to help minimize fading and preserve its beauty. 22”W x 26”D x 42.5”H overall.